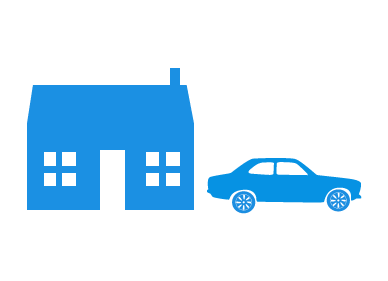 When you are in need of contents only household insurance Adrian Flux, one of the UK's leading home insurance brokers, can find high quality cover that matches your precise needs and your pocket. Contents insurance covers the possessions in your home, including furniture, non-permanent fixtures, electrical items, carpets, clothes and jewellery, against theft, loss and damage by fire, storm, flood, lightning, explosions, vandalism, water or oil leakage, and theft. To find the best contents only cover for you and your possessions, Adrian Flux compares policies from a panel of 30 insurers. "Old for new" replacement cover as standard. An option for accidental damage cover. Discounts if you combine contents and building insurance. Think about your jewellery and high-tech equipment such as widescreen TV, music system, laptop, photographic equipment, smart phone, and the cost of kitting out your home quickly tots up, so it's important you get the right level of cover. You know it makes good sense to shop around for the right policy and the best deal, but at Adrian Flux we do the hard work for you. Our knowledge, experience and policy comparison tools enable us to to arrange the most suitable insurance for your specific needs. If you have valuable jewellery, a family heirloom, or an antique that needs extra cover, you will need to list them separately as single, high-value items. And if you have a number of high-value items, there are a wide range of special policies available through the Flux Private Clients team. For a Quick & Cheap contents only insurance complete the call me form (9am to 7pm Monday to Friday & 9am to 4pm Saturday) for an immediate quote.